Last night, in New York City, I had the extreme honor of being in the presence of those who are dedicating themselves to preserving the life of the majestic elephant. My partner Lisa Feistel’s passionate response to this atrocity has helped me by telling the story of their plight and being a philanthropist for their cause. It is contagious .. And this is how change occurs. 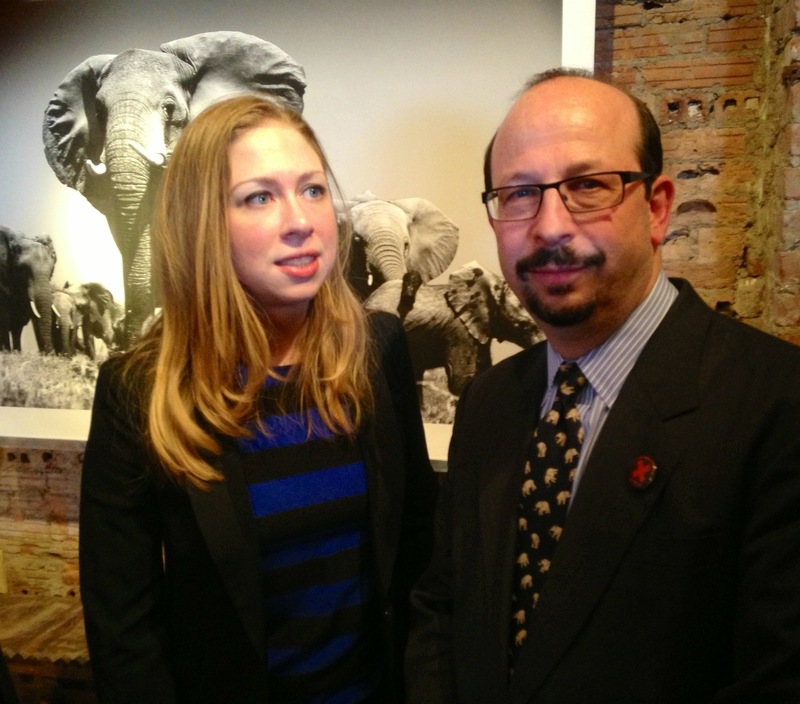 Chelsea Clinton, Vice-Chair of the Global Initiative, who moderated last night’s discussion on stopping the ivory trade, is pictured here with Dr. Joshua Ginsberg of the World Conservation Program Wildlife Conservation Society. What a nice advocate you have there. And the lines, they really do stand for something. I’m quite inspired with it. Would you mind if we would work on that poetry into a graphic art. See my rendition of my support for ELEPHANTS. Can we have those lines of yours designed into something similar to the one I have made? Your response will be greatly appreciated. Just click here.